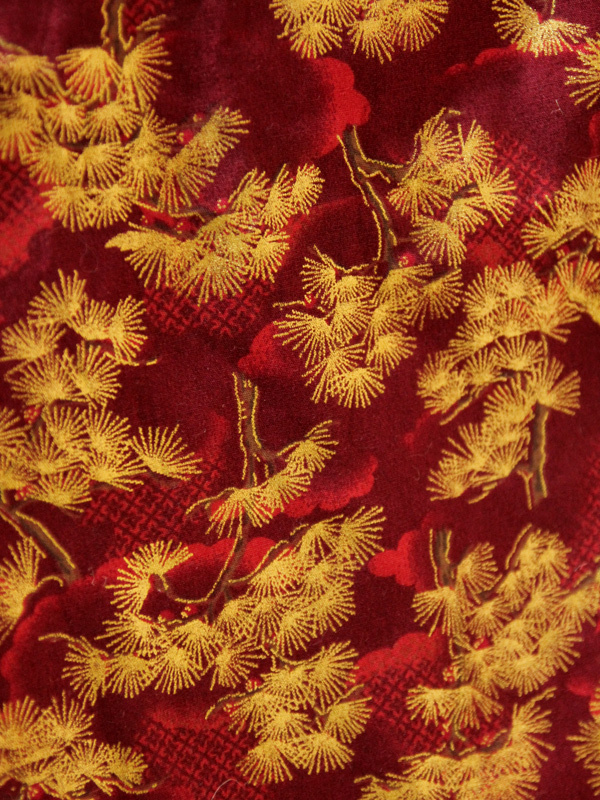 Subtle golden cypress print on two-tone Japanese cotton fabric. Nehru collar, loop buttons on shoulder with zip back and buttons on rear collar. Elbow length check-hem sleeve.